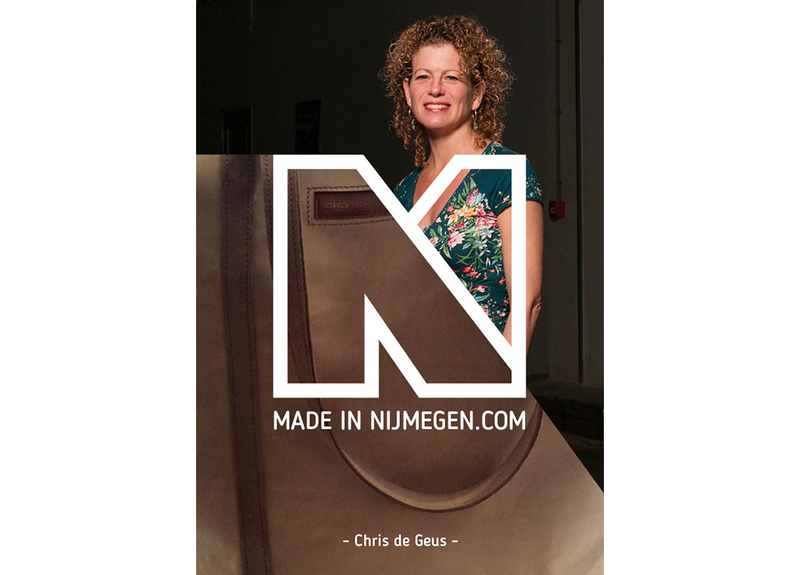 Chris de Geus (1971) from Nijmegen is the owner of the label De Geus bags and accessories. 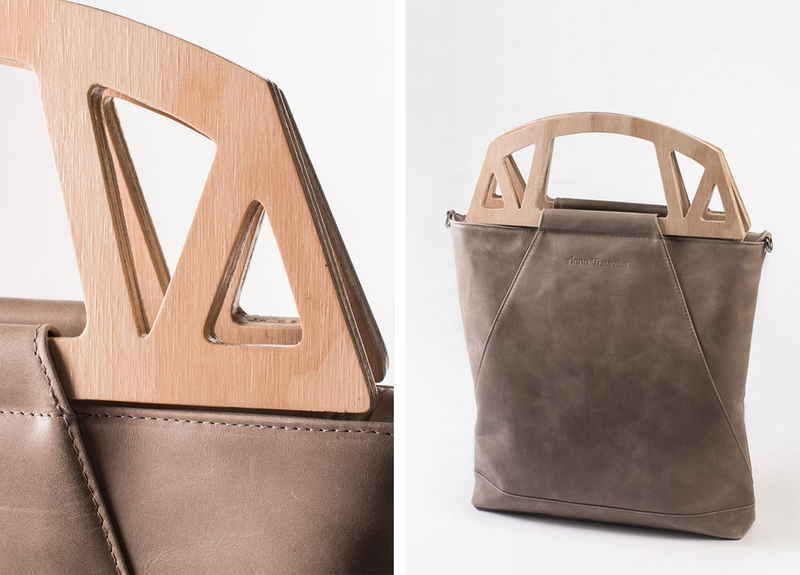 After graduating from the art academy, Chris de Geus designed a bag which unexpectedly sold surprisingly well. 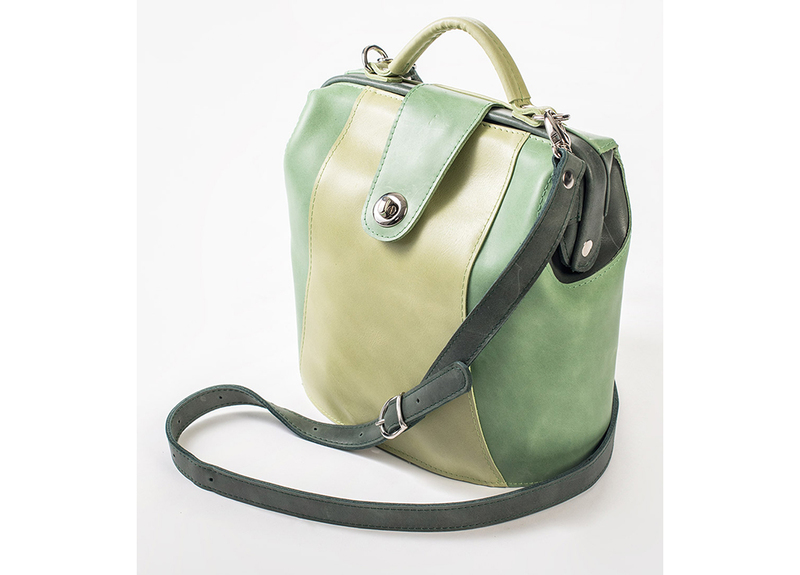 When participating in the contest ‘Leather for Dutch Design’ her design Pakezel (Pack Mule) was nominated and presented in the Tassenmuseum in Amsterdam. 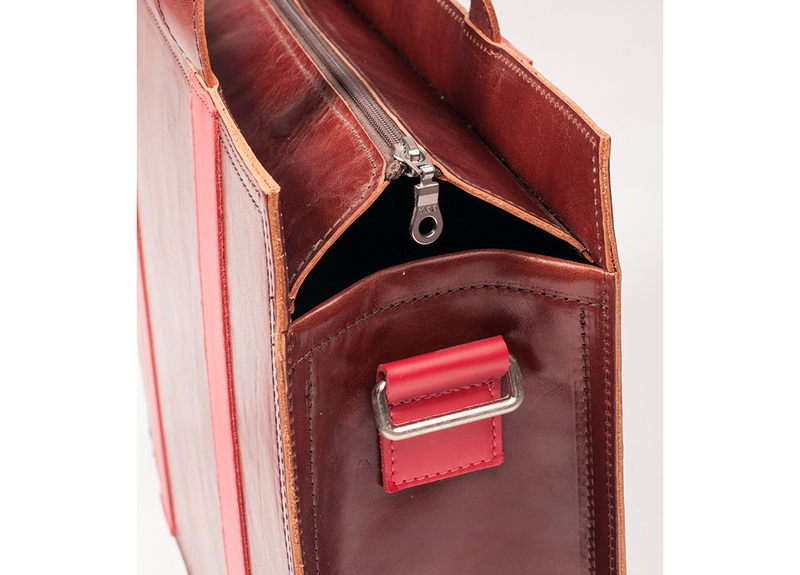 The result was an exclusive collection of handmade leather bags. 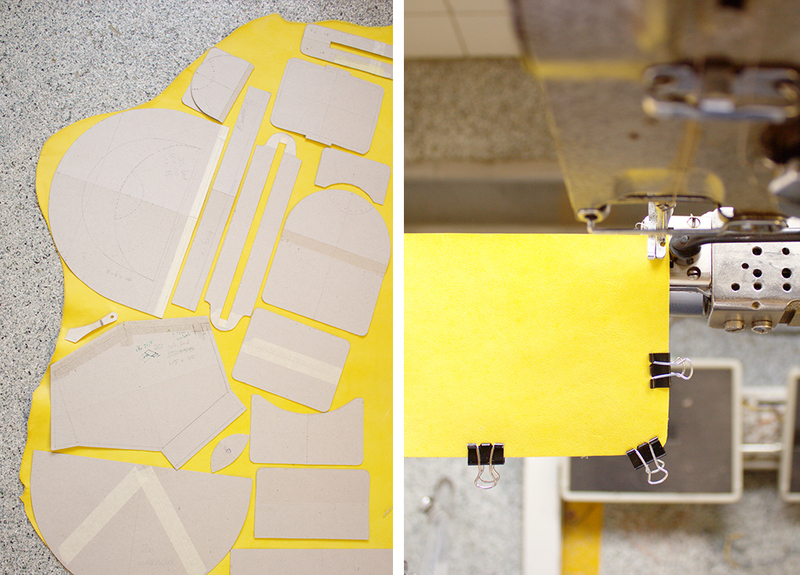 Everything is designed, drawn and produced in the studio of De Geus bags. 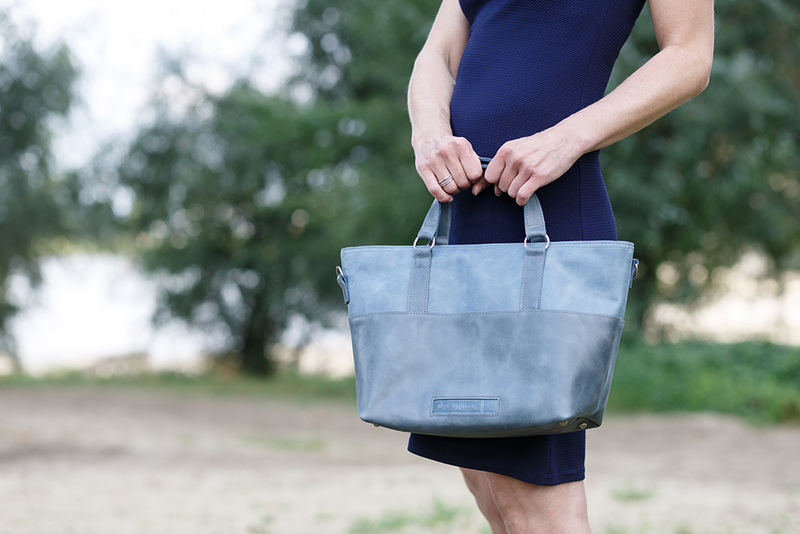 The women’s and men’s bags in the De Geus collection of have a special design, detailed with fine color combinations and stitching. 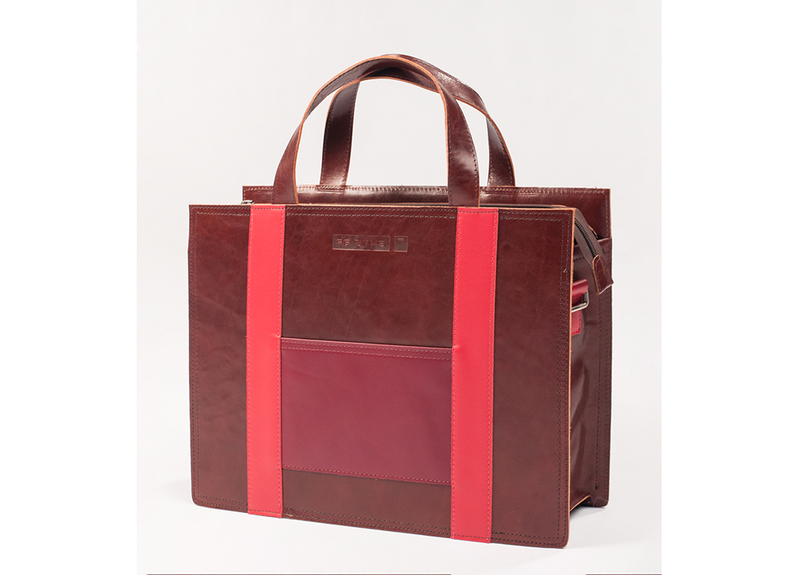 The bags range from a sleek laptop bag (Ribbon Bag) to a charming party bag (Bridge Bag). The De Geus characteristics show up nicely in the large Travel Bag. De Geus products are sold in several stores and online. 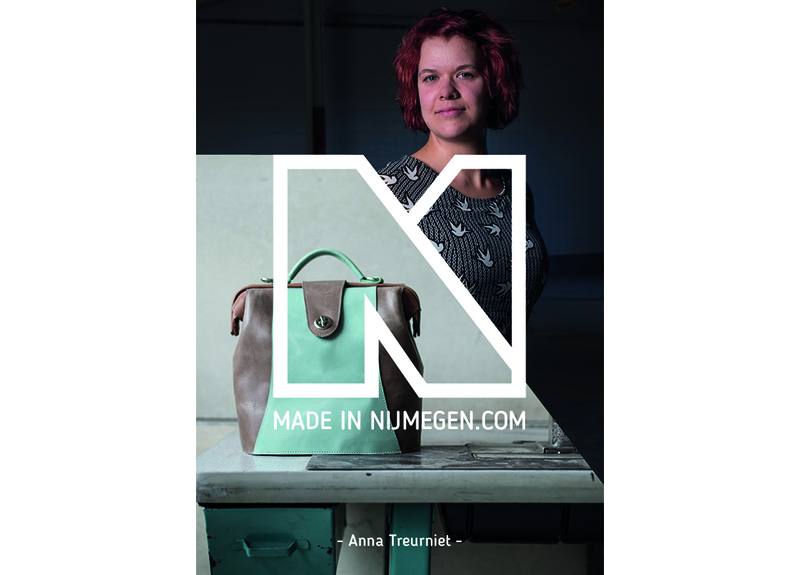 Anna Treurniet (1984) is a designer of bags and accessories. 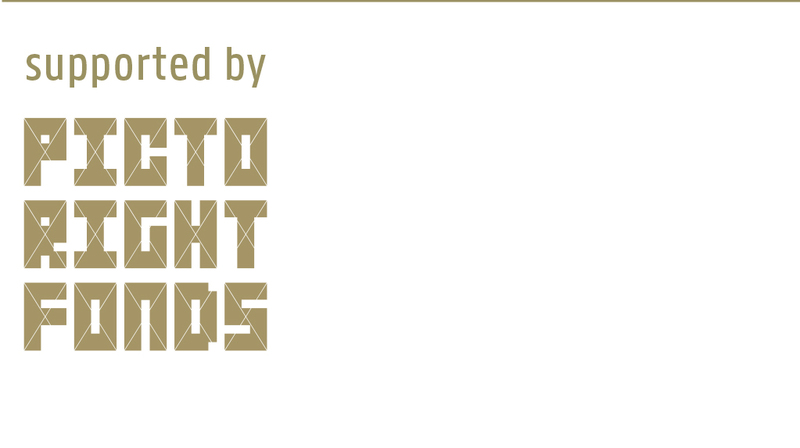 Her studio is based in Nijmegen, the Netherlands. 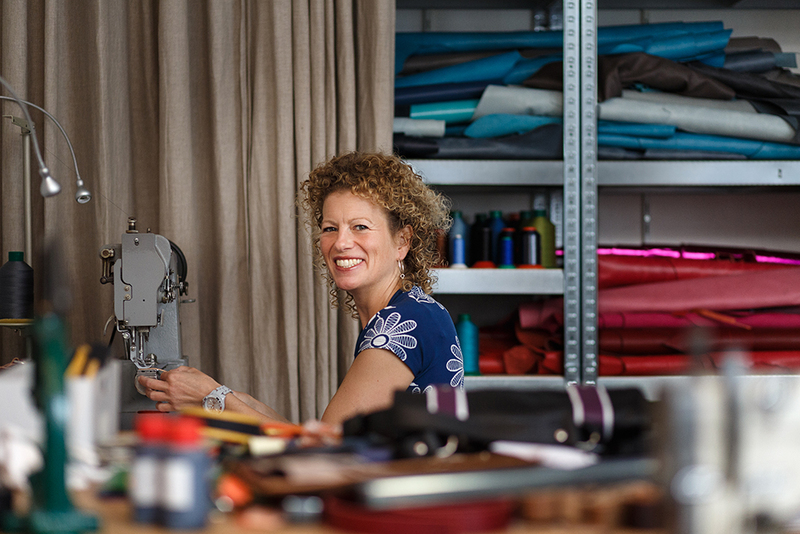 After studying fine art at the Royal Academy of Art in the Hague, she completed her training as a tailor and followed a training course enabling her to design and craft leather bags. She set up her own business in 2011. 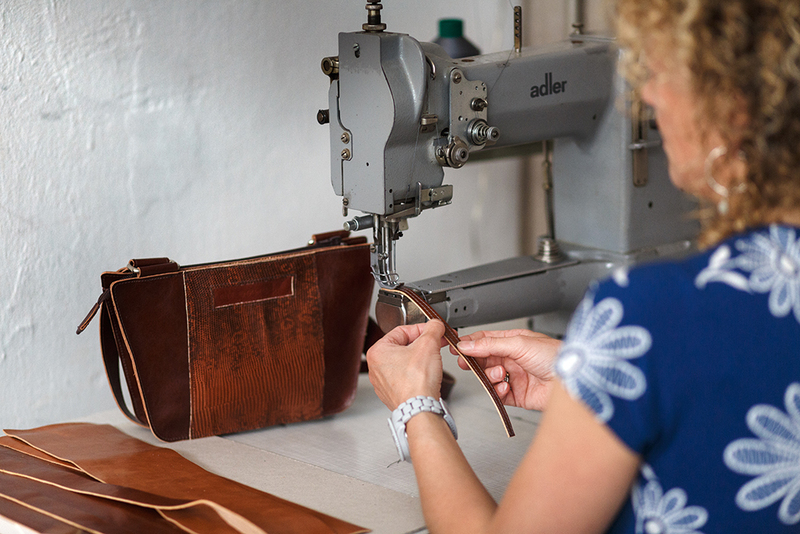 Her designs are fuelled by a love of craftsmanship and genuine materials, looking for sustainable ways to produce her bags. With her new collection, Anna wants to set a new and positive tone for everyday life. She uses clean shapes and natural materials to emphasize the beauty of unity. Vegetable tanning is to process the hides in a pure and natural way, without using harmful chemicals. 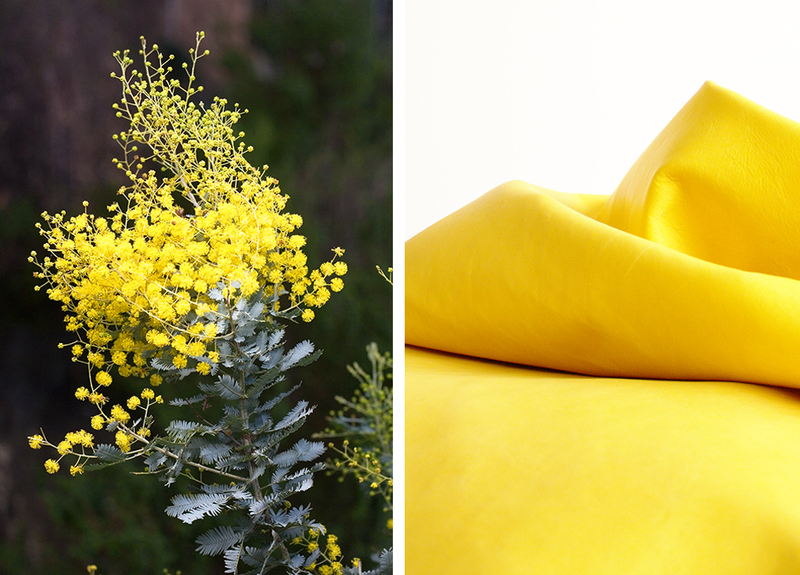 It is a traditional, artisanal process that takes advantage of the tannic acids naturally found in some plants, for example mimosa. 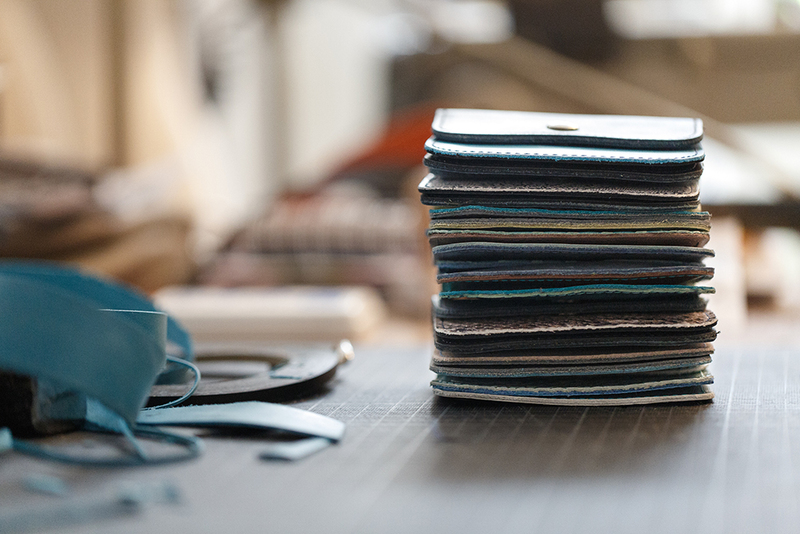 Being an entirely organic material, vegetable-tanned leather will change over time. It grows softer and darker and aquires a patina depending on its use.